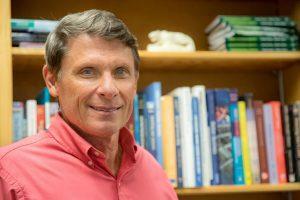 Tom Duening credits his mentors for sparking his passion for entrepreneurship during graduate school. Now, he’s paying it forward. He’s been an entrepreneur since 1984. Since then, he’s launched nine other companies and helped numerous others throughout the years. Duening joined UCCS in 2009 as the El Pomar Chair for Business & Entrepreneurship, director of the Center for Entrepreneurship, and associate professor of management. Since then, Duening has helped establish a minor in entrepreneurship, created TEDxUCCS, Lion’s Den Pitch Night, The Garage at UCCS and more. The Garage at UCCS provides students with a space to build and protect their intellectual ventures, pitch progress on their companies, and receive mentoring from faculty members. In his research, Duening has developed the five virtues of entrepreneurship: create value for other people, respect the judgement of the marketplace, honor your contracts, be resilient, and be resourceful. “If you practice those virtues every single day – you just are an entrepreneur. Eventually you’ll stumble on some kind of an idea that can be built into a venture – you don’t know when, how, where or why, it just happens,” he said. 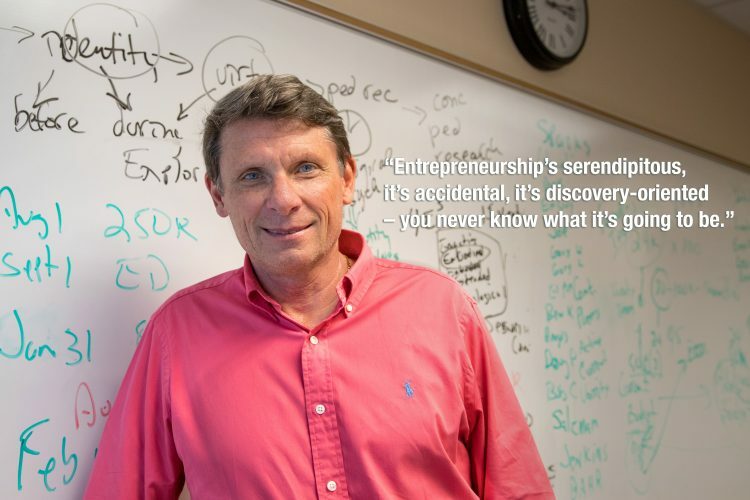 In his undergraduate classes, he challenges his students to practice the five virtues of entrepreneurship for 15 weeks, then write a paper about their experience. “It’s really rewarding to see students who weren’t sure what entrepreneurship was about realize they can start their own ventures too,” Duening said. Duening received his bachelor’s degree in natural sciences at University of Wisconsin Stevens Point, master’s in philosophy of science and doctorate’s in higher education administration at the University of Minnesota. Duening urges his students to be the entrepreneur they can be, not the entrepreneur somebody else is. He advises them to follow their talent to be competitive and strives to extract that talent to help expose their great ideas. 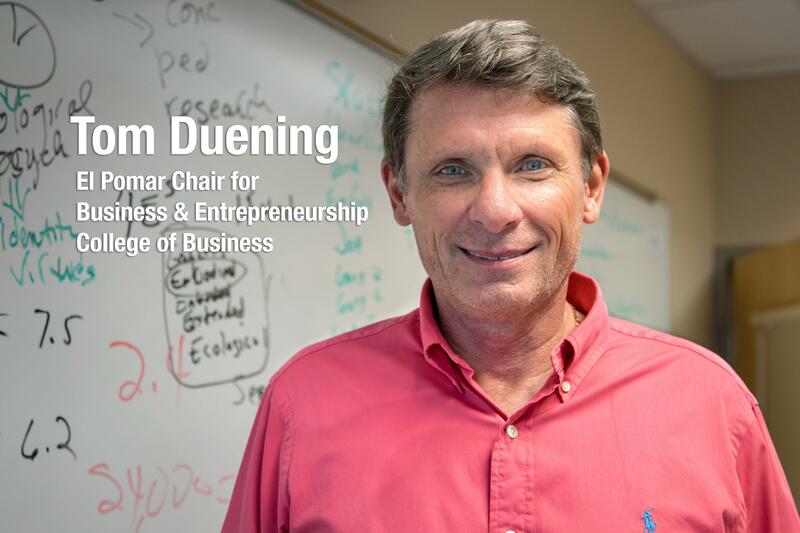 Duening provides insights on education, economics and entrepreneurship on his blog, and is available to help others on their entrepreneurship endeavors: tduening@uccs.edu.